I googled around, and couldn’t find a generic singleton implementation that was 1) correct and 2) met all of my needs. This is a clever approach, but unfortunately it is limited to objects that are created by calls to constructors. I started out defining a class factory type, which is responsible for creating the an instance in a purposefully vague way. I also wrote the default version which just calls new(). From there, I went for the slam dunk in writing both a singleton class with a class factory and a default version that doesn’t require one. /// The type of the singleton object. /// instance of type <typeparamref name="T"/>. /// Ensures that the singleton has been created. 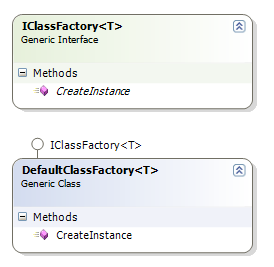 /// Uses the class factory to create the instance. // nothing on an x86. /// that are created with a parameterless constructor. 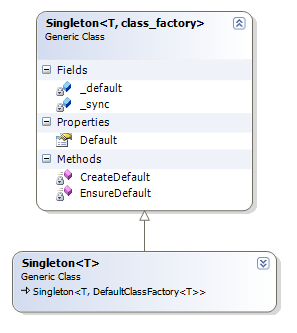 If you can’t use Singleton as a base class, you have to write a little more code.